Hop into Keenan’s new Swedish life, where he and his hosts, the Lidström family, weigh in on what it is like to exchange cultures and live in a Homestay together. Who are your Homestay hosts, and what are their interests? My host parents are Mattias and Maria, aged 45 and 44. Mattias is a mechanical engineer, Maria is a civil engineer, and they are both very good at their jobs. They have three kids, Love (11), Isac (14), Alice (16), who are all very active. Love is into volleyball and the boy scouts, and he also enjoys playing Pokémon Go around the city. Isac is on a club soccer team and plays nonstop; when he isn’t playing soccer, he is doing his physics or chemistry homework. He currently beats me whenever we play FIFA 17 but I am improving and hope to win a game soon. Alice is currently studying economics and works as a sailing instructor during the summers. Her boyfriend Simon also hangs out with us a lot and they are very fun to be around. We live in a little suburb in Sjöberg, in a beautiful home next to the woods. The house is very modern but still super cozy, and the hot tub, sauna, and espresso machine are fantastic. The backyard has become a makeshift soccer pitch, and the trails through the woods lead to lakes, ponds, and hills with views over Sollentuna bay. I’ll be honest, I was pretty scared to move in with a random family. I didn’t know their routine, their lifestyle, or literally anything for that matter, and I was nervous I might upset them or they would think I was weird. However, after almost 24 hours of travel, the smiling faces and enthusiasm that met me at the airport erased these fears. From that moment on, I was just another family member. How did your hosts welcome you to Sweden? They actually surprised me at the airport, as they weren’t required to pick me up there, but they went the extra mile and that meant a lot. When we got in the car, they were full of questions and any awkwardness quickly dissipated. We arrived at the house and they showed me my room, which was complete with an American flag quilt and a hand-drawn picture by Love welcoming me to Sweden. Since moving in, I have not needed to adjust my daily life that significantly, as the Lidström family is remarkably similar to mine. At home, I have three younger siblings who are always high energy, constantly doing things, and never seem to tire. That is once again the case here in Sweden with my new family, but I think it has made the transition seamless. I have been in Stockholm for six weeks now, but I feel like I am now just another member of their family, their compassion and loving attitudes have drawn me in and I am so grateful. In fact, I will be joining them on their family ski vacation in the Alps over break! The biggest thing I can recommend is to open yourself up. Let go of preconceived notions and let go of American habits you have. Living a Swedish lifestyle within a Swedish family is a once in a lifetime opportunity and it will be most rewarding if you can totally immerse yourself. My family is great because they are young and active and I am used to a chaotic house where everybody is off doing different things. It is also great because they are incredibly supportive and don’t get frustrated with all my questions. 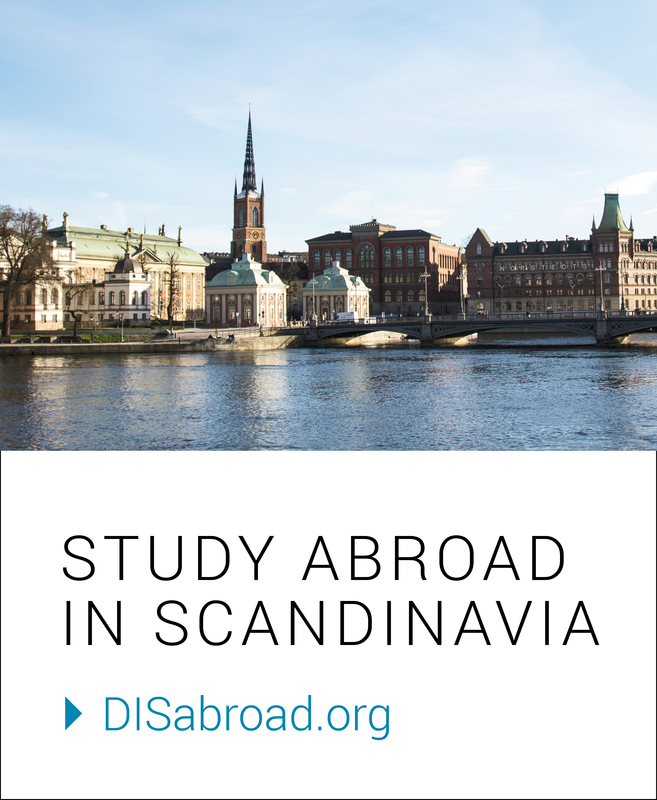 The Homestay was definitely the right choice for me because I wanted to experience as much of Swedish culture as I could, and I wanted to be able to separate myself from my American classmates when needed. It’s given me the unique opportunity to commit myself to Swedish culture while having the freedom to be a totally independent person in a foreign country. It has also been so wonderful forming a bond with my new family and I am certain that it will last a lifetime, I wouldn’t think twice about opening my home to them back in the States. On a typical weeknight, I arrive home from school to meet my host siblings, and we do homework for a bit. My host parents arrive a little later, and we eat dinner shortly thereafter. After dinner, the kids go off to various sports practices or continue their reading, and I head to the gym with whoever wants to tag along. We usually end the night in the living room watching handball, ice hockey, or a movie. However, every night in the Lidström house is different with all the different activities, so our big night is Friday night. On Friday night, we celebrate finishing the week by eating a large meal all together and drinking wine and talking about many things. It is something I look forward to each week. We go skating, go for runs, walk around the city, or watch movies together. When there is more snow, we will do more skiing. It is still early in the program, but my family has taught me lots about the Swedish way of life and I feel this has helped me adapt greatly. Knowing about the separation of work and personal life, or the idea of always having “just enough” are two cultural factors that are reflected throughout Stockholm. Having gained an understanding of these has made the city easier to navigate and easier to blend in as a member rather than a tourist. Do you have any stories to share from your first month? One fun story is that my family met Zlatan Ibrahimovic, which is a bigggggg deal for soccer fans, especially Swedish ones. They have also been to Chicago and like to talk about their experiences there. Another special moment occurred recently when I sat in the hot tub with my host brother under the stars and we talked about life and the struggles of being a teenager. It felt amazing to build a strong connection and know that he trusted me to give advice on life. What did you do to prepare for Keenan to come? Kids: We spent a lot of time cleaning and organizing the house, and we also practiced our English a lot at night so that we could be better. Parents: We went out to gather tourist info, maps, books, and anything that might help with the transition. We attended DIS meetings where we discussed meals and what to do on the first night, it was nice hearing ideas from other families. We also bought some American flag banners to put around the house. The process actually helped us clean, too, we ended up selling some old furniture and buying new things for the house. Kids: We were really surprised that [Keenan] slept with a white noise machine at night, the only other surprising thing was that [Keenan] cuts a lot of his food with a fork rather than a knife. Parents: We were pleasantly surprised that Keenan could come in and acclimate so quickly. We often have a chaotic house with everyone so active and doing different things. We were worried that we might have to adjust our lifestyle or act differently, but we very quickly learned we could be ourselves around Keenan. We have really enjoyed the cultural discussions about differences between our countries, on everything from food to sports, to health care and politics. What do you hope your family will take away from this experience? Parents: We hope that while Keenan is here, our English will get better and better and that we learn lots about the U.S. We hope that Keenan will also be able to share his knowledge and assist the kids in their studies. What do you hope Keenan takes away from this experience? Isac: I want Keenan to see how the Swedes live, from family life to everyday living. I also want him to experience Swedish athletics and traditions. Love: I want Keenan to try the caviar! Mattias and Maria: We hope that Keenan will go home and feel that he has had fun with our family, his friends, and his schooling. We wish to give him an amazing experience. We hope he is influenced by a new lifestyle and culture and that he will share the good things with people back in the U.S.
Isac, Love, and Alice: It has not been strange, if anything, it is fun to have one more person to talk to and hang out with. We are happy with who Keenan is; it was conducive to coming into our family quickly, and he is basically one of us now. We appreciate that he is open to so many new things. We think it is funny to have him here because most teenage kids in Sweden think America is awesome. 90% of our friends want to live in America. Listen to the student, be open to what the student might want to see or try. Tell them about opportunities that they might not know, give them insight into the city and culture. Most importantly, have fun, it feels great and everyone should experience it! Also, you should Skype beforehand to meet the student and talk to their parents. Next Welcome to my Humble Abode!